The Cole Clark FL2EC in Redwood Mahogany is a unique acoustic guitar indeed. Hand made in Melbourne Australia by Cole Clark Guitars, this model boasts a solid redwood top and solid mahogany back and sides. 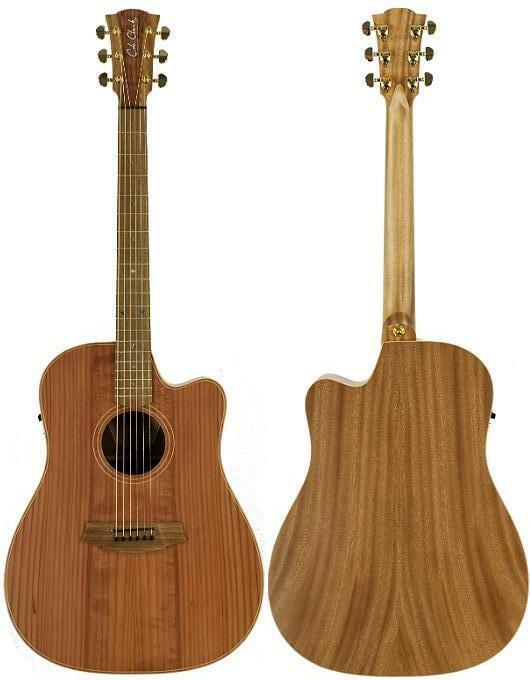 The Cole Clark Fat Lady 2EC in Redwood Mahogany also has a cutaway which is handy for reaching the higher frets. The Cole Clark three-way pickup system included really brings this guitar to life when plugged in and the solid redwood and mahogany body gives this guitar a big warm tone acoustically. We love our Cole Clark Guitars here at Haworth Guitars and the Fat Lady 2EC in Redwood Mahogany really brings a lot of depth to the range with it's unique tone and gorgeous aesthetics. It's definitely high on our list of our favourite Cole Clark models here at Haworths.